There are two things boomers love to do: they love to blog and they love to travel. Photography is another love of boomers. So it is natural that there are some wonderful boomer travel blogs with great photographs and information. Travel is on the list of most people’s retirement activities. Baby boomers enjoy some nice vacations. However, you don’t have to be retired or a baby boomer to enjoy these boomer travel blogs. They are full of interesting places to visit around the world and things to do when you get there. Let’s not forget the travel tips and advice as well. But I think my favorite part of visiting travel blogs and web sites is to see the wonderful photographs and see what the bloggers are doing and where they are or have been recently. Travel sites and blogs can give you ideas of places to visit. Follow a travel blogger and you get to know them like a friend as they share their trips and tips. It is exciting to see where they turn up next. Even if you never make a trip yourself you will feel like you have experienced traveling yourself. Travel blogs are refreshing, exciting, interesting, educational and informative. OK enough, let’s take a look at some of our favorite boomer travel sites and blogs. Despite my comments above, don’t let me get too quaint here, these are not casual or hobby travel bloggers. These are the best of the best boomer travel web sites and bloggers with full time sites being updated continuously. These are not bland corporate travel sites; each has their own personalities, specialties and styles. That’s why I like them all. I recently had an opportunity to meet every blogger listed and was so impressed I can’t tell you. Now take a look at the best travel websites anywhere. New! Solo Travel Girl site by Jennifer Huber is a new addition to our best travel blogs. Jennifer has worked in the tourism industry for nearly 20 years including 10 years with a park management company in Yellowstone, Death Valley and Everglades National Parks. I met Jennifer at Lifeat50+ in Boston and believe her blog is great for solo travelers or anyone. One of our favorite baby boomer travel bloggers has always been Donna Hull with her blog My Itch Travel Feet – The Baby Boomer’s Guide to Travel. Always traveling to interesting in the US and internationally from her home in Montana, wherever she turns up next will be exciting. Donna does the type of travel boomers like: active and inquisitive travels. 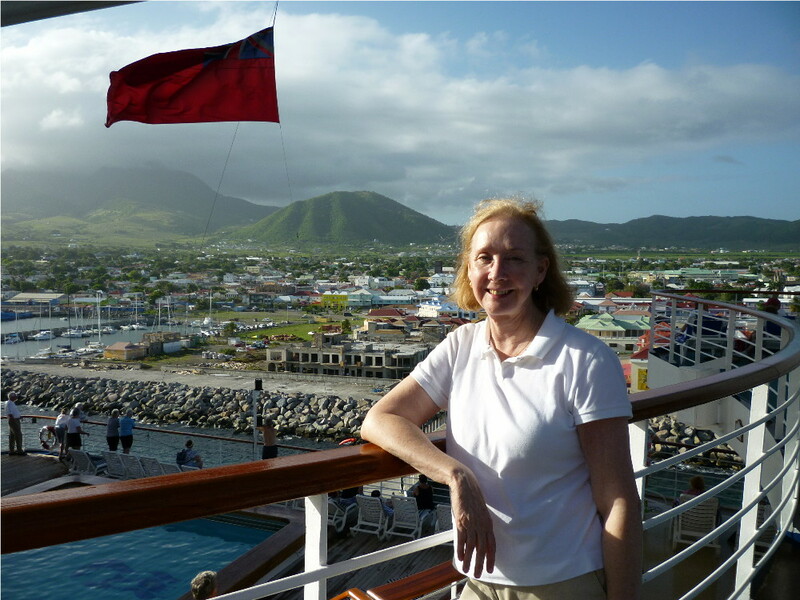 Small luxury cruises are one of Donna’s specialties. A real plus is that both Donna and her husband Alan are both great photographers. The Roaming Boomers – David and Carol Porter did what we all want to do. Turn 50 and travel! A boomers travel guide with pretty pictures in a well laid out presentation. In fact they have a tab called pretty pictures and a cloud to browse locations. David does a great job on The Roaming Boomers web site. Frugal Travel Guy – About saving money while traveling to some great places. Reducing the travel expenses that can nickel and dime you on any trip. Christine Krzyszton is the writer we like best on this site and her published popular book “How to See The World in A Weekend”. Go NOMAD – Travel articles about great destinations all over the world. Max Hartshorne has one of the strongest travel sites anywhere. Max knows travel. I had dinner with Max and was quite impressed. 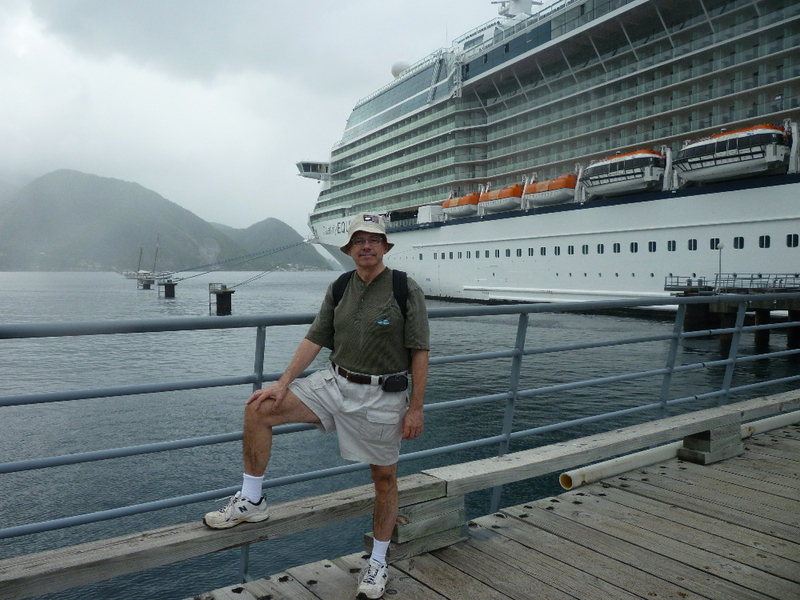 Chris Cruises – Chris Owen is a travel writer from Orlando Florida who shares frank, inside information about cruise vacations with travelers. Chis knows cruises. I was with Chris in a group of travel experts when they interviewed a cruse line representative and the travel experts let Chris do the talking. Never Stop Traveling – I like the way they write on this blog. You feel like you are there with them on the trip. Donna Manz as a travel planner, focuses on Europe, senior and solo travel and river cruises. Travel Past 50 – For those who’ve been around. I have just discovered this travel site and like it. Travel Blog Directory – the most comprehensive list of travel blogs on the internet. As a bonus to this page, here are some great travel resources that we use all the time. AARP Travel Center – Travel and leisure deals, tips and news for tours, air, hotels. AARP travel center powered by Expedia. I recently met with their guy designing their next travel site and it is going to be one place to design, plan and purchase travel. Should be coming out in Jan 2014 but the current travel site is already a top travel resource. Plus you get discounts! Cruise Critic has forums where passengers post about their cruises. You get the good and the bad about a cruise or the cruise ship. Boomer cruises are popular and most of the posters on the Cruise Critic forums are boomers. TripAdvisor – One of my favorite travel sites is Trip Advisor. I like to see the reviews by real people on hotels and attractions especially. Then go to the forums for the location you are visiting and catch the scoop of what is happening from real people who have been there or are locals. You can ask questions too. That is a great blog. Many places that so wonderful. Knowing your destination or where you travel is nice tips to have. Thanks for the blogs. It is a very informative one. Keep it up! Travel and learning at the same time…just what we boomers like best. Create, Connect, Contribute with technology and travel. Thanks for the great examples. wish my parents are reading your blog! they’ve never been to places besides our relatives’ home. Are you sure you are baby boomer? You look young. Anyway, this site is really cool. One of the best travel guides I have seen. Thank you very much. Great list of boomer travel blogs and resources! Was doing some research on boom travel websites today and I am glad I found this article. I love to travel. My daughter lives in Madrid and I visit Spain twice a year. Next spring, we’re visiting Ireland to go to a community near Shannon where my Baylee ancestors are from. Rita I am sure you will love Ireland. 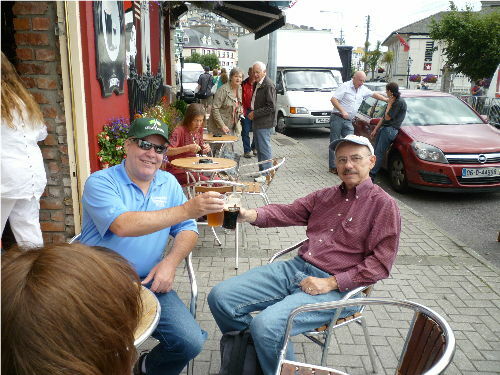 We went on a British Isles Cruise last year which had a few stops in Ireland. Loved Cork Ireland. Have a great trip to Ireland. that isn’t thee same unwanted rehashed material. Excellent read! Thank you for wonderful post, I love your blog, It gives very useful and informative information , Thanks again and highly appreciated.I will follow your steps and will visit soon on the one of the above places. What a great list! Will share it with my baby boomers readers who love traveling too. Great blog post – an excellent read! I hope you enjoyed your stay here in Ireland. Did you visit County Donegal? I can safely say we’ll be thinking of travelling via cruise next time, Bali looks perfect! Thanks for sharing, very interesting article. Great list of boomer travel blogs and resources, thanks for sharing this with everyone. Thank you so much for the mention. Sure do enjoy all the information you two provide and love following your travels. Keep up the good work. Thanks Christine. Always enjoy and benefit from your Frugal Travel Guy posts as well. Wow first time here I’m really liking the information you provide especially the links you have provided to other sources, the travel blog directory will keep me busy for quiet a while thanks. So glad I found your blog…greatinfo! Thanks for including us on your list. And for making this list of suggestions. Some links here I didn’t know about. Fabulous list of travel blogs. I will forward this on! We recently started blogging about St. Augustine, Florida. Hi Robert. After learning from lots of wonderful bloggers found by great lists like this one (thank you! ), I started my Baby Boomer travel blog this year (but have been traveling for years!). I want to inspire fellow baby boomers to get out and explore more of this wonderful world while we still can! My tag line is “Grand Adventures Beyond the Guidebook.” Would love for you to check out my Planet Janet Travels website/travel blog when you get the chance. Thanks & Best Wishes for continued success with Boomer Places. This is a great resource connecting travelers alike. It’s a big world out here and it’s nice to have others’ perspective to learn from! Thanks for sharing great website for travel blog. But i have one more website RetyrSmart.com this website also provide travel tips or senior citizens tour packages for retired people.